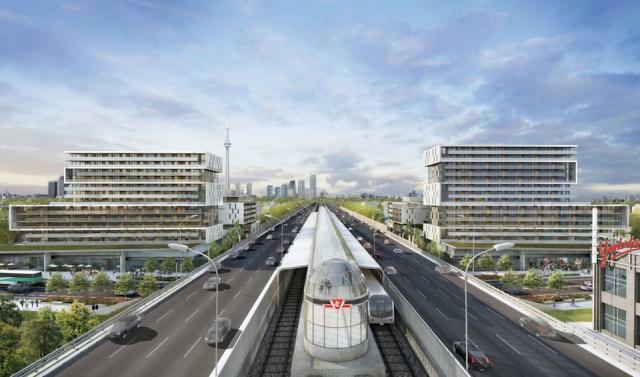 In Toronto, The Yorkdale Condominiums will bring a new level of connectivity to those who appreciate living in a convenient urban setting. In mid-September, Context and Metropia Urban Landscapes will launch the first tower in this two-tower residence situated on Ranee Avenue at Allen Road, steps from the Yorkdale subway and fabulous Yorkdale Mall. Talk about being connected! Shopping and working at the mall will involve a brief stroll. Anyone attending, working at or teaching at York University will have just a 10-minute commute. Plus, the University of Toronto, Ryerson University and the city’s Financial District are also minutes away. Imagine all of this for prices beginning from $169,900 for studios. Yes, that’s $169,900. When is the last time you saw a price point like that in the city? One-bedroom designs will start from $199,900; two –bedrooms from $258,900; and two-bedroom, two-bath plans from $289,900. The developers have put a lot of careful thought into the wide-shallow layouts, which allow in more natural light through expansive windows. These well-designed suites are framed by an impressive 15-storey exterior by KPMB Architects and Page + Steele / IBI Group Architects. Take a look at the renderings and notice how clean, modern and light these mid-rise buildings will be. What a fantastic choice to get in on the ground floor! You can register NOW to be on the priority list for this brand new condominium offering at TheYorkdaleCondos.com.